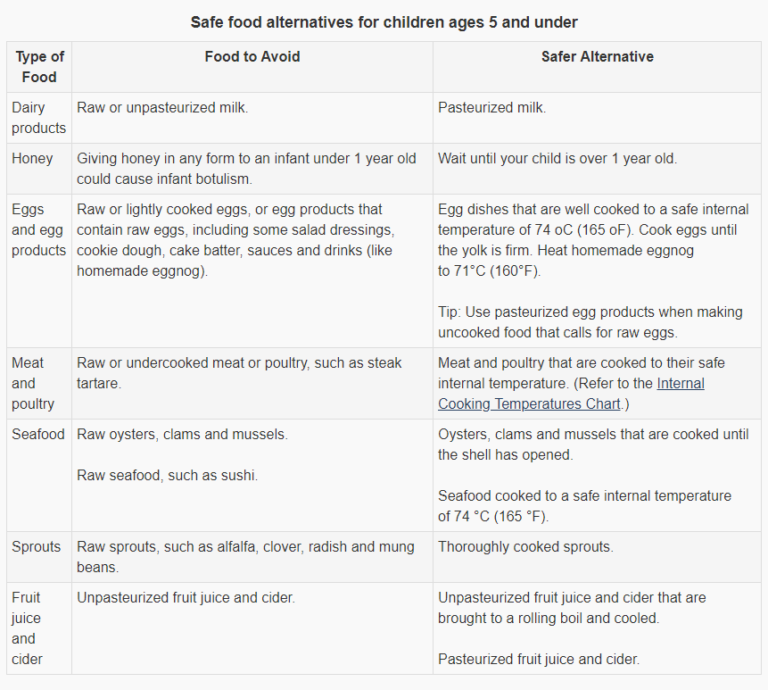 Source: Food safety information for children ages 5 and under. Government of Canada website. Accessed March 26, 2018 at: https://www.canada.ca/en/health-canada/services/food-safety-vulnerable-populations/food-safety-information-children-ages-5-under.html. Children aged 5 years and under can be at increased risk of food poisoning if they eat certain foods. This is because of how the foods are produced and stored. To lower the chances of your child getting food poisoning, you should be aware of what foods to avoid.